Every year, ten men from Ness, at the northern tip of the Isle of Lewis, sail north-east for some forty miles to a remote rock called Sulasgeir. Their mission is to catch and harvest the guga; the almost fully grown gannet chicks nesting on the two hundred foot high cliffs that circle the tiny island, which is barely half a mile long. After spending a fortnight in the arduous conditions that often prevail there, they return home with around two thousand of the birds, pickled and salted and ready for the tables of Nessmen and women both at home and abroad. The Guga Hunters tells the story of the men who voyage to Sulasgeir each year and the district they hail from, bringing out the full colour of their lives, the humour and drama of their exploits. They speak of the laughter that seasons their time together on Sulasgeir, of the risks and dangers they have faced. 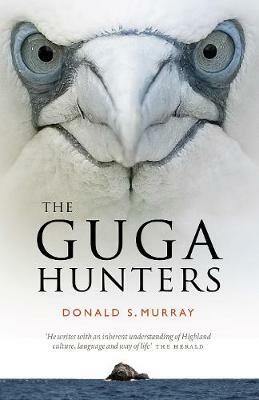 It also provides a fascinating insight into the social history of Ness, the culture and way-of-life that lies behind the world of the Guga Hunters, the timeless nature of the hunt, and reveals the hunt's connections to the traditions of other North Atlantic countries.Told in his district's poetry and prose, English and - occasionally - Gaelic, Donald S.
Murray shows how the spirit of a community is preserved in this most unique of exploits.